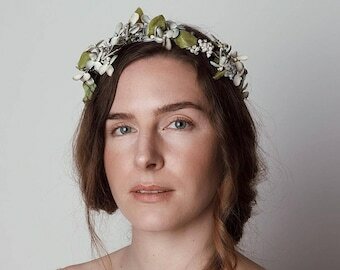 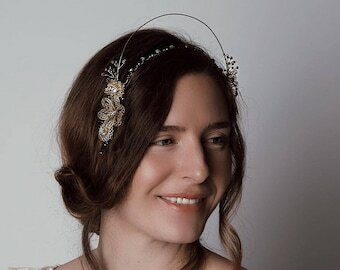 This handcrafted bridal wreath was designed for the bride who loves vintage inspired detailing. 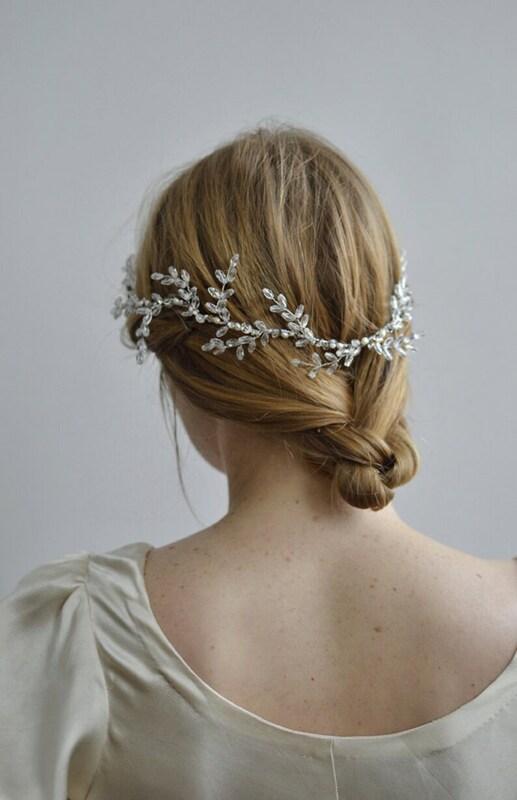 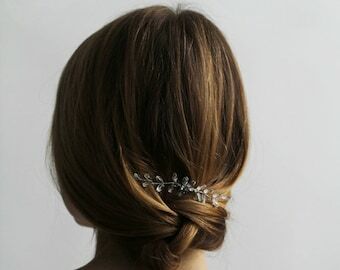 The Wreath of Frost hair adornment is made of glass stones to create a winter's enchanting frost with hand wrapped fresh water raw pearls, Swarovski stones, metallic sequins and glass beads. 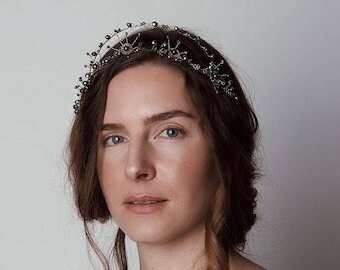 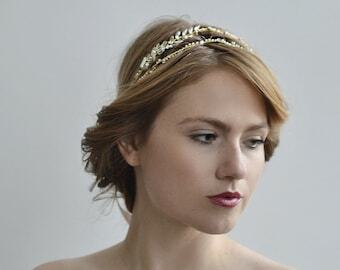 Wear this Esther Jean hair piece with a vintage veil or worn alone as a dreamy halo.